For e-commerce companies, an essential part of their business is gaining new clients. However, many businesses overlook an important factor for survival among the competitors: retaining the existing clients. If they are successful in retaining an existing client, there’s a greater likelihood that they might gain new clients as well. 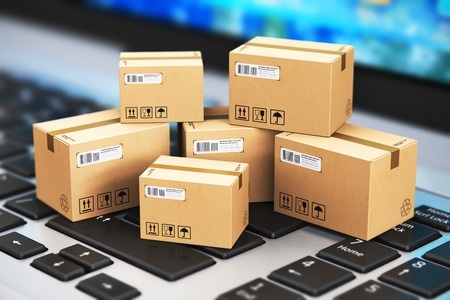 The majority of online retailers put more emphasis on marketing strategies and other tactics to increase sales; however; a huge number of retailers miss out on the significance of how a product is delivered to the clients. They also miss out on an opportunity to build their brand through packaging. A happy unboxing experience makes customers feel connected with the business and make purchases again in the future. Making an unforgettable branded unboxing experience is often a great step to grow your business and build your brand. A well thought-out custom packaging design and shipping materials is a key element in creating a first impression. Packaging can offer extra value to your clients, and also you make your product and company memorable. In e-commerce, you get fewer touch points in comparison to physical retail outlets so your packaging must act as your storefront. That is why it is crucial that you use every touch point to your advantage, and ensure that the first physical touch is memorable. For example, rather than opting for a plain brown corrugated box, choose to use a custom printed box that is reflective of your brand, to make the unboxing experience more momentous. Traditionally, brown and white corrugated packaging choices ruled the world since they were affordable, and did the job. But in today’s e-commerce environment, the shipping box represents the greatest chance to start creating that wow experience. The traditional fillers such as air pillows, styrofoam, bubble wrap are now outdated. The new packing fillers are interesting, colorful and engaging. Be sure to include your business card and also any special offers that would benefit your customer and keep them coming back for more. Think of including an extra one that they can share with a friend for some additional word-of- mouth marketing The options are affordable and endless. Stickers can be a terrific piece to include in your packing, and it may also be used to seal the tissue if you are wrapping your product using tissues. A personal handwritten messages attached to their products adds a personal touch and enriches the buying experience for the customer. Including a small gift is another way to delight your client and have them spread the word to friends and family. These are only some of the components to successful packaging. There are endless possibilities but the important thing is to engage your customers with a memorable unboxing experience, which will help to build your brand and create a loyal following. Phil Bagdasarian is the co-founder of Packwire, an online packaging service that lets businesses create their own box design, including branded mailers, folding cartons, shipping boxes and gift boxes. The company serves small and large businesses alike and fulfills orders of as little as 10 boxes. Phil is part of a 3 rd generation of packaging professionals. Witnessing the growth of e-commerce and subscription box companies, Packwire was launched to help companies showcase their brand messaging front and center. Agree 100% that first impressions matter. We work with both large and small business across the US and if your product doesn’t stand out on the shelf from others than the product doesn’t sell. Nice to see custom boxes packaging article on your blog. Thanks and keep it up. Awesome article about packaging and especially about “unboxing experience”. Thanks for sharing with us! Very nice to see custom boxes packaging article on your blog. Can you also write on moving and mailer boxes with details? Thanks and keep it up.